Mashed potatoes are the ultimate comfort food if you ask this family! And, mashed potatoes, Instant Pot style are done in just 15 minutes. No more waiting for potatoes to come to a boil and spit water all over your stovetop. These Instant Pot mashed potatoes are a game changer. Game-changer I tell you! Need more Instant Pot ideas? See all of my Instant Pot recipes here. 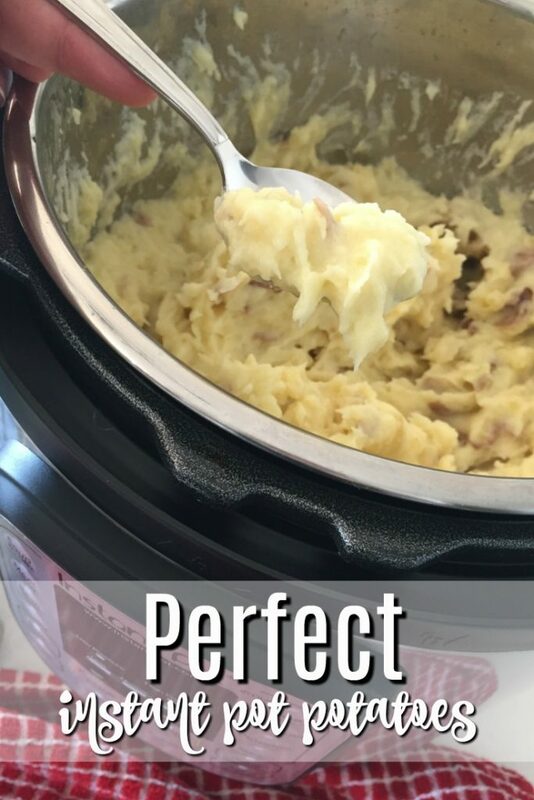 The BEST Mashed Potatoes Instant Pot Recipe! 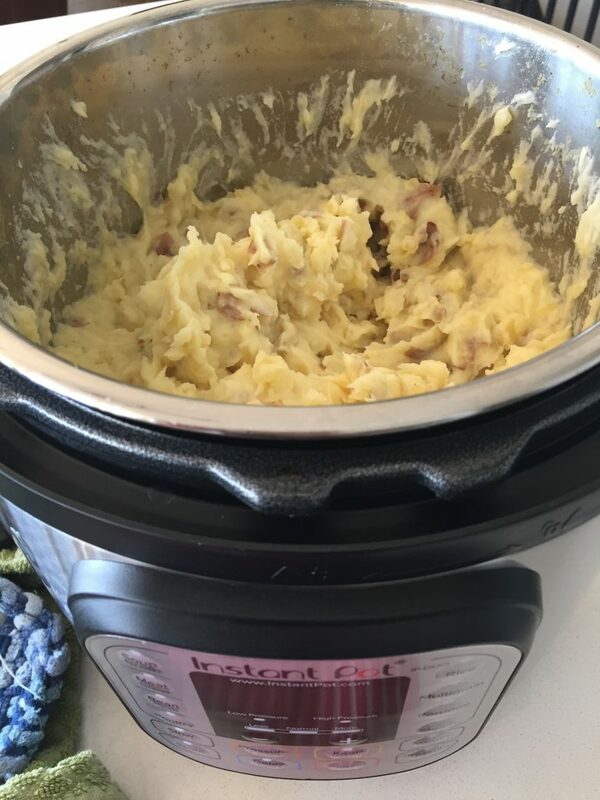 My favorite thing to make in the Instant Pot is by far these pressure cooker mashed potatoes. These are so easy, so simple, and frankly just downright awesome. 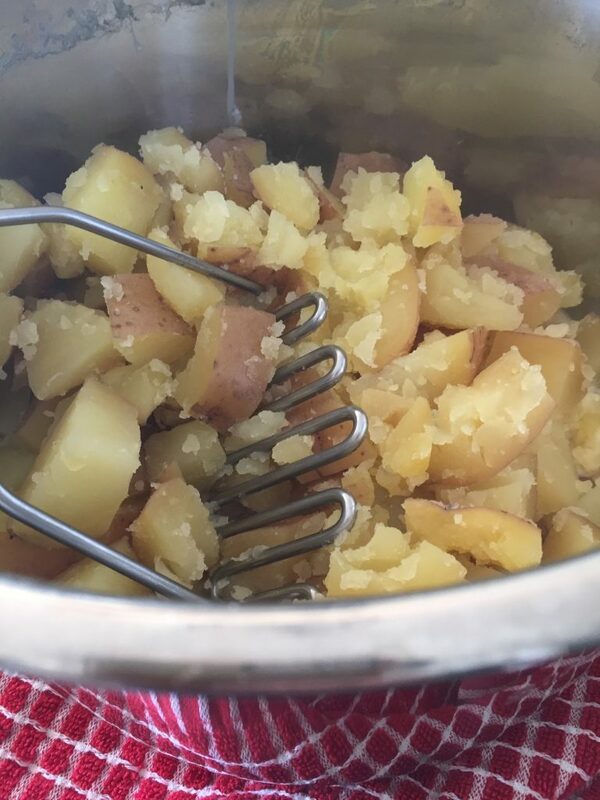 In my Instant Pot potatoes you’ll find butter, whipping cream, seasonings and potatoes. It’s like Heaven on earth. I should clarify by saying that I use rose potatoes. 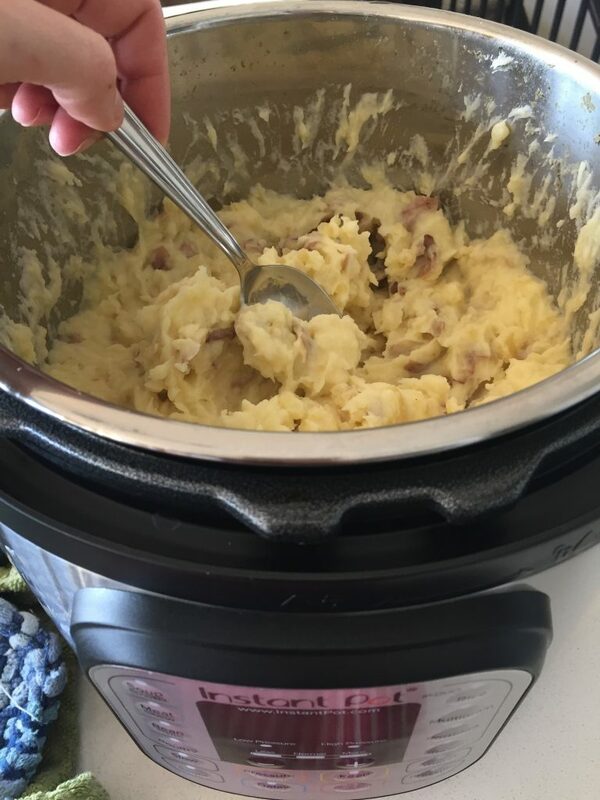 I use the Klondike Brand Rose Potatoes when I make mashed potatoes in the Instant Pot. Reason being is that this type of potatoes are recommended for making mashed potatoes and they’re also recommended to be used in the crock pot. Another note is that if you’re looking for pressure cooker mashed potatoes with cream cheese, or even pressure cooker mashed potatoes with sour cream, know that although they’re not on my ingredient list here, you can add them in for sure! Since I am feeding a ten year old boy and a six year old girl (and a 41 year old husband who has the palate of a 10 year old boy) 😉 I tend to stick to the fewest amount of ingredients as possible. But, like I said, there is no reason why you shouldn’t add in other things like extra butter, sour cream, and the like. 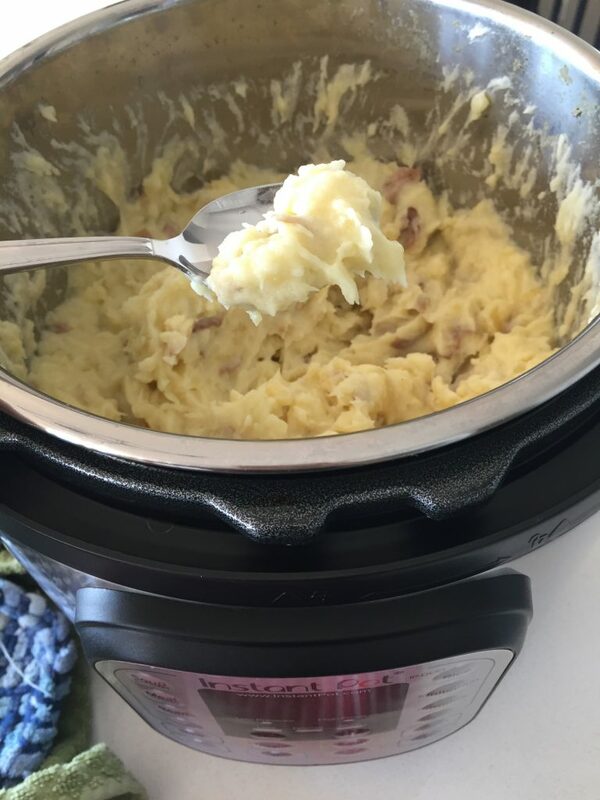 On to the recipe for these perfect Pressure Cooker Red Skin Mashed Potatoes … right?! 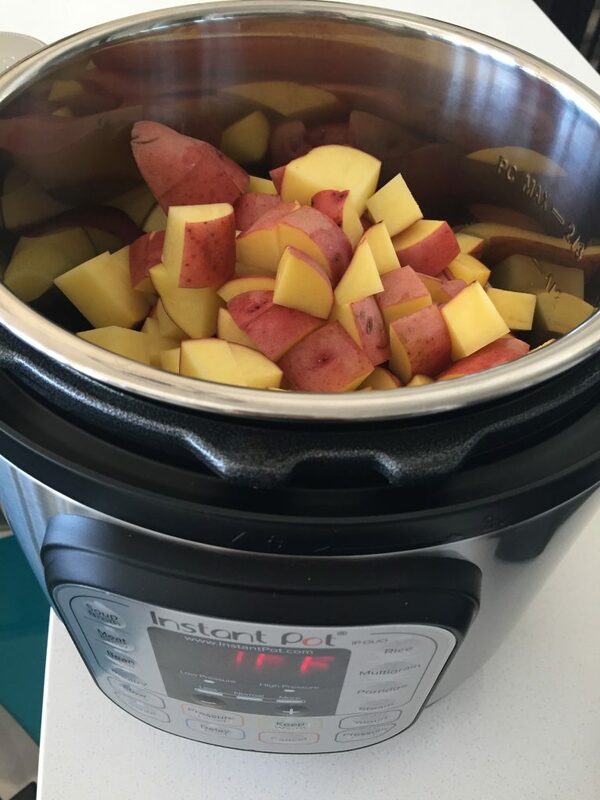 Is there such a thing as Instant Pot red potatoes? You bet! I use red potatoes interchangeably with rose potatoes. Both are delicious and you simply can’t go wrong. My family does like red potatoes better though. These potatoes really are such an easy side dish – and if you’re looking for a great first recipe to make in the Instant Pot, these are a great option as they’re so simple. First, clean, and dice your potatoes into 1 inch cubes. Each potato will be cut into 6-9 pieces depending on its size. I love to keep the skin on my potatoes but you can peel them – it’s totally personal preference and doesn’t matter either way. Next, you’ll want to place all of the potato cubes into the Instapot. My family prefers the potatoes peeled, I don’t mind with the skins on. If you’re going to peel them, peel prior to putting them in the Instant Pot. Fill the pot with water to the 2/3 line. You’re ready to get the Instant Pot cooking. Be sure the seal is on well and put the lid on. 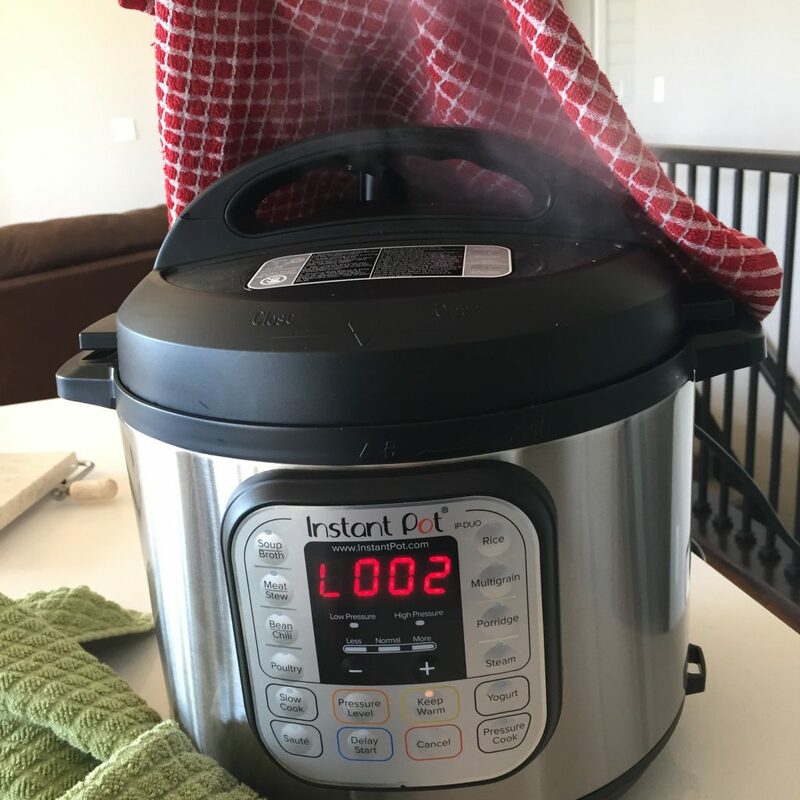 Set your Instant Pot to Manual Pressure (high) for 8 minutes. Please note that if you fill your pot with cold water it will take a long time to get your pot to come to pressure. Using hotter water will take less time for the pot to come to pressure. Also, be sure your pot is set to sealed. When the cooking time is finished flip the valve to “venting”and let the pressure quick release. If you find that your valve spits water, use a damp towel to redirect the steam, or lay the towel over top of the valve. Either way, be careful – this steam is so, so hot! Your potatoes are cooked – how awesome is that?! 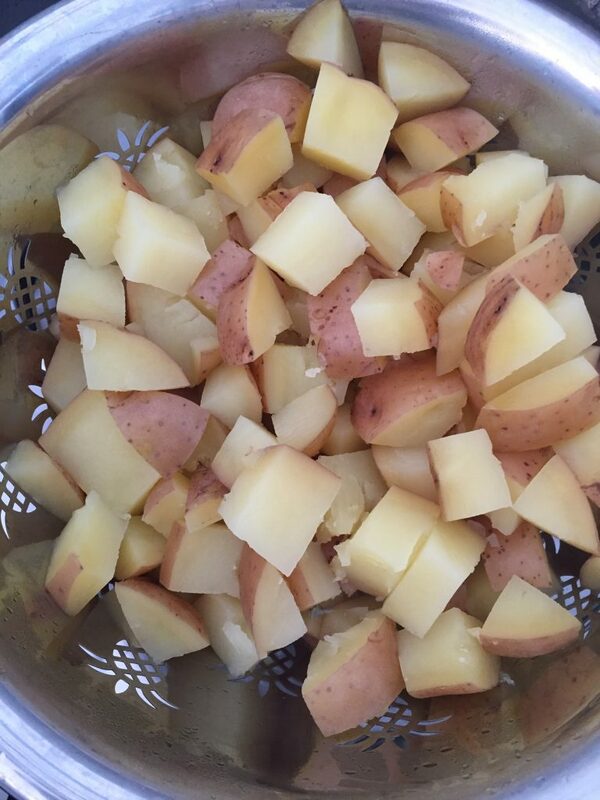 Carefully remove the inner pot from the machine and pour potatoes into a colander to drain the potatoes. After the potatoes are drained, put them back into the pot to mash. 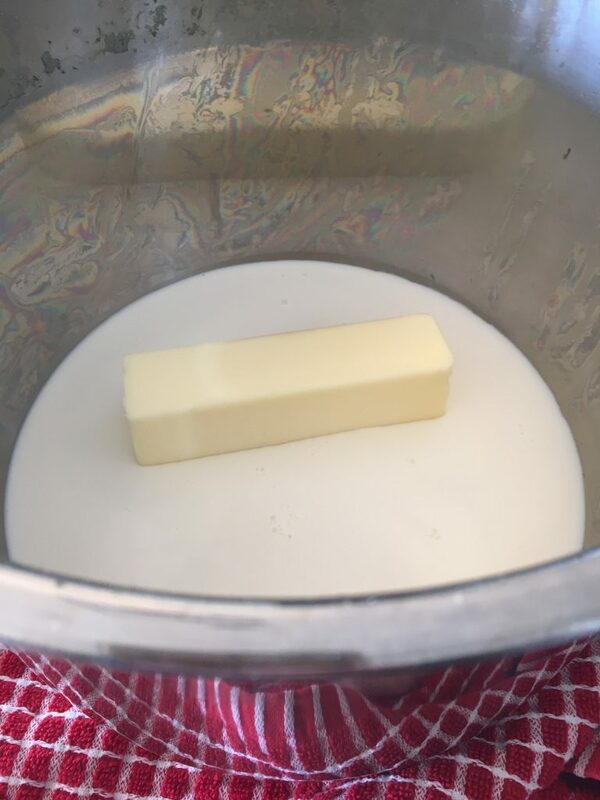 This is when I usually just hide my butter in the hot potatoes to melt itself in that pot of awesomeness. Or, let your butter and whipping cream have a few minutes together inside the pot to melt together and continue by pouring the potatoes on top. Add in the cream, sprinkle with seasonings and go to town mashing your potatoes. I use an old fashioned potato masher like this one and it works like a charm. What if you want to not serve your potatoes right away? 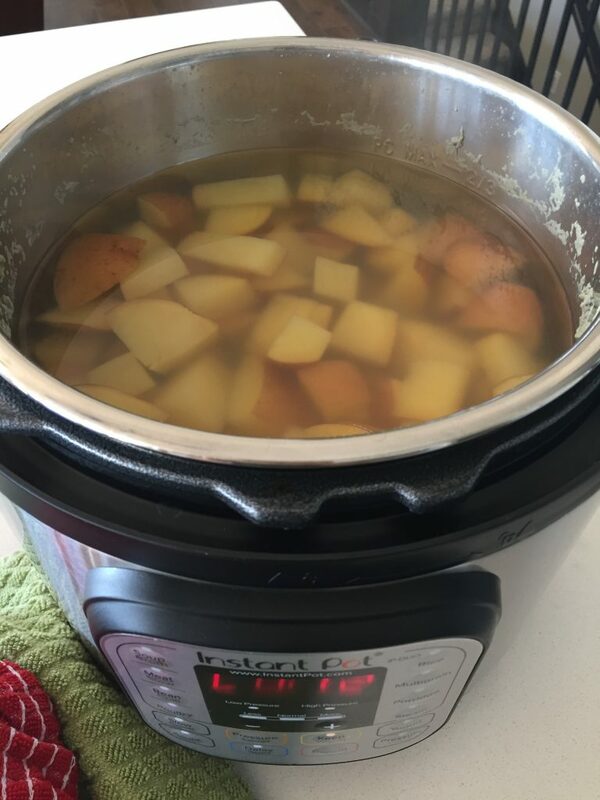 Put them on the warm setting in your Instant Pot to keep them warm – problem solved! What if your Instant Pot Won’t Start? 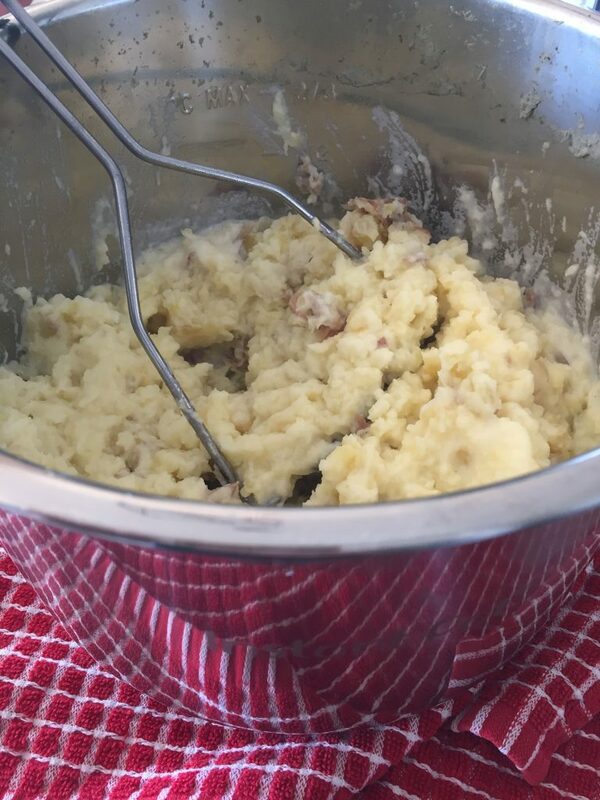 This is the best instant mashed potatoes recipes ever! Need more potato side dishes? 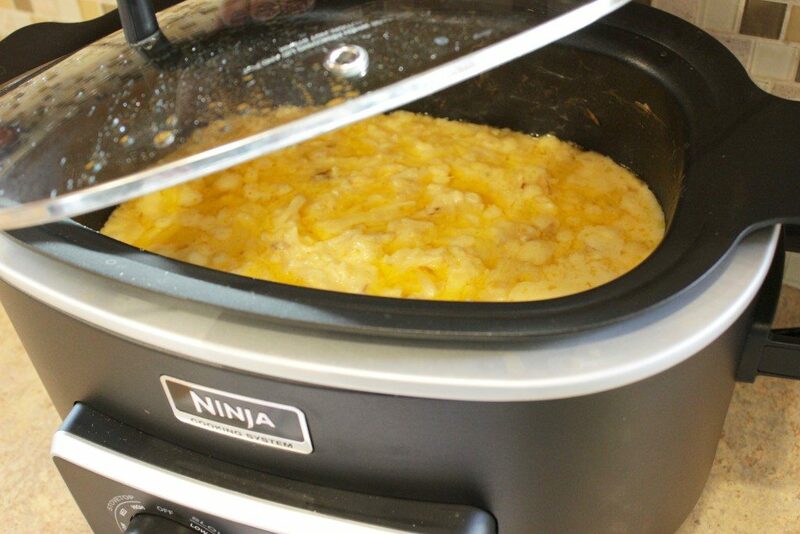 Check out my Crockpot Cheesy Potatoes here! 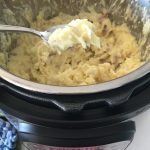 These Instant Pot Mashed Potatoes are one of my go to potato side dishes. These potatoes are creamy, easy and delicious with any side that you want to put them with. Red potatoes are awesome as well! ** My family prefers the potatoes peeled, and red potatoes vs rose potatoes. I don't mind either way. If you're going to peel the potatoes though, peel them prior to putting the potatoes in the Instant Pot.